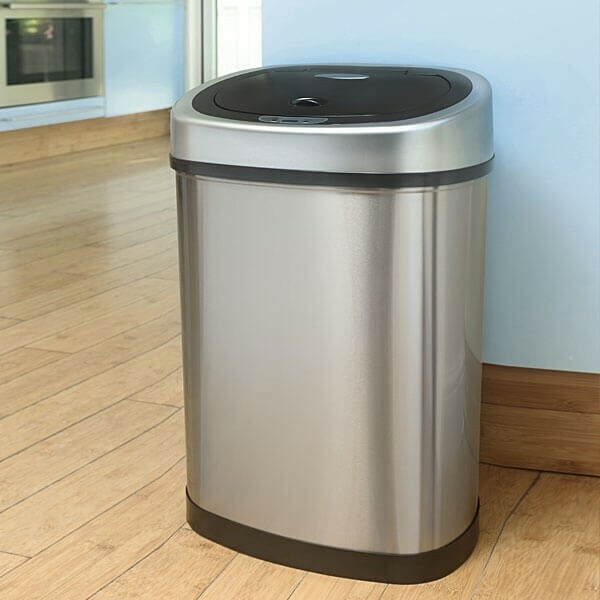 The popular, stylishly designed 42L Oval motion activated sensor Autobin has a body made of sturdy, high quality, brushed stainless steel and a lid of durable ABS plastic and steel. The space saving design allows the bin to fit under kitchen worktops. Competitively priced and designed for modern living, the 42L Oval small kitchen bin is one of our bestselling products of its type on the market. Using innovative infra-red smart technology, opening the lid is achieved automatically just by moving your hand close to the lid sensor. After 3 seconds the lid will close without the need to touch it, although, there is a manual override button that can be used to extend the open time for as long as desired. 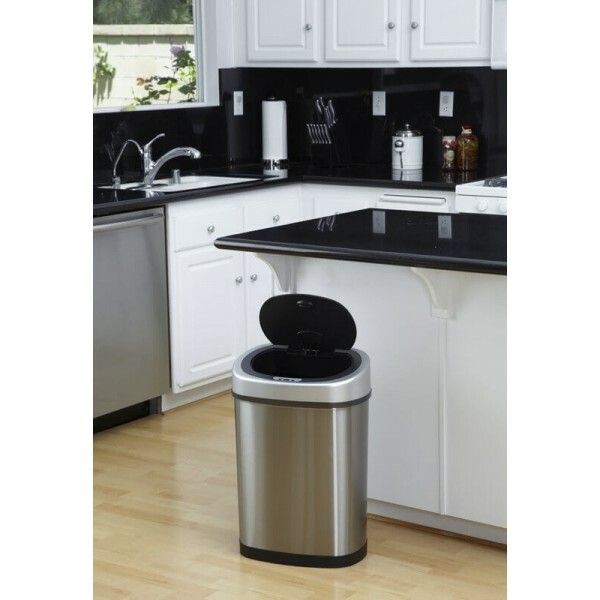 Used in automatic mode, operating the bin is completely hands-free and hygienic. The Silenx technology offers quiet, unobtrusive lid opening and closing when in operation, while the tightly fitting lid enables you to maintain a cleaner environment, with no odours escaping. 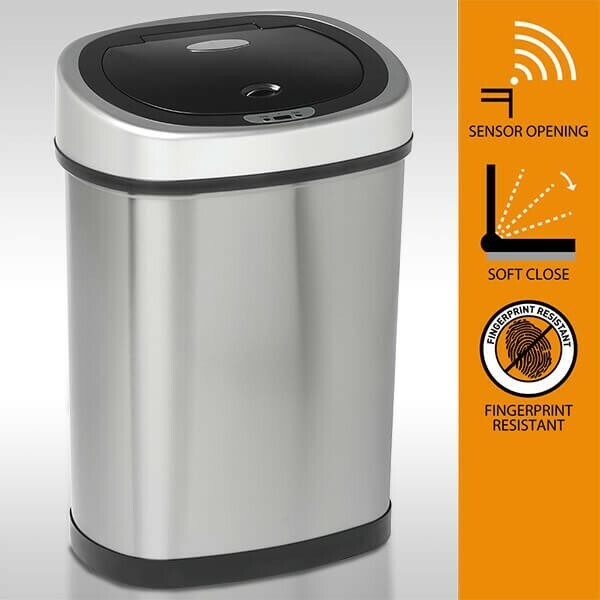 As well as the smart technology that allows operation of the bin completely hands-free, the convenient bag retaining ring is designed to hold the rubbish bag securely in place thus preventing it from leaking or falling into the base of the small kitchen bin. The retaining ring also hides untidy top edges of the waste bag by hiding it from view.